Welcome! 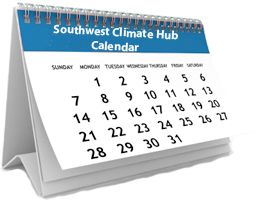 Thank you for your interest in the USDA Southwest Climate Hub’s curriculum unit on Climate Change and the Water Cycle. Increased temperatures and altered precipitation will make water, a limited resource in the arid southwestern United States, even scarcer in many locations. We partnered with the Asombro Institute for Science Education to design an engaging, fun, and scientifically rigorous education unit aligned with Common Core State Standards and Next Generation Science Standards. This unit is freely available and intended for use by anyone, especially educators of 6-12 grade students. The unit consists of nine activities and was designed to be conducted over 10 days (or 10 hours). Each activity can also stand alone however, and the unit need not be completed in its entirety. The curriculum is free to download. We only ask that you create a quick and free account to supply us with some basic information for our internal tracking purposes. We will not share your information or send high-frequency emails. Day 1 - Insulating You, Insulating Earth: Examining the Enhanced Greenhouse Effect To model the enhanced greenhouse effect, students conduct an experiment using their own body heat, thermometers, towels, and space blankets. Day 2 - Weather or Climate? You Decide! Students use their understanding of the definitions of weather and climate to identify which of the two concepts is better represented by several figures that are presented during the activity. 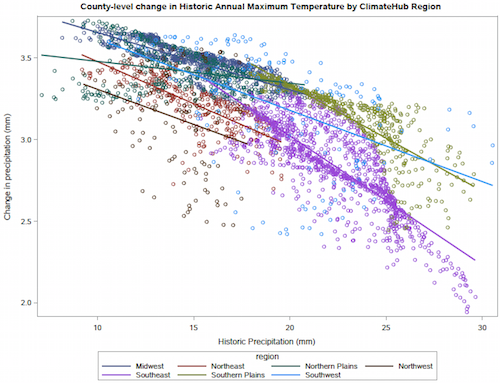 Understanding the Difference: Do the American Public and Media Understand Weather and Climate? Students read a short article and examine selections from the media to determine whether the American public and media tend to understand the difference between weather and climate. Evaporation Investigation setup This activity is completed over four days. Students conduct an experiment to investigate the effects of various factors on the rate of evaporation. Day 3 - The Water Cycle Game Students play the roles of reservoirs and hydrologic processes to illustrate the movement of water in the water cycle. Day 4 - Streams and Steam: Effects of Climate Change on the Water Cycle Students play a Chutes-and-Ladders-style board game to understand the effects of climate change on the water cycle. Ready, Set, Grow: How Does Climate Change Affect Primary Producers? Students play the roles of water-intensive and drought-tolerant plants to understand the impacts of climate change on water, primary producers, and the food web. Day 6 - Rainout Shelters: How Does the Availability of Water Affect Plant Growth in the Desert? Students analyze data from a desert field experiment to examine the effect of water availability on plant growth. Day 7-10 - Climate Data Jam: Communicating Climate Data to Nonscientists This activity is completed over 4 days. Students analyze and then showcase climate data by developing a creative project to communicate data trends to nonscientists. •Weather or Climate? You Decide! •Understanding the Difference: Do the American Public and Media Understand Weather and Climate? •Ready, Set, Grow: How Does Climate Change Affect Primary Producers? •Rainout Shelters: How Does the Availability of Water Affect Plant Growth in the Desert?